In the name of Rabbi Yehudah Yosefi, it is told that a young man recently approached Rabbi Chaim Kanievsky for a blessing. The rabbi asked the young man for his name, and the young man replied: "Nimrod." In response, the rabbi said to him: "Nimrod? No, not Nimrod, rather “Shaltiel”. Those who heard, raised an eyebrow, knowing Rabbi Kanievsky's sensitivity to the name "Nimrod": Why did the rabbi choose to call the young man such a rare biblical name, “Shaltiel”? The young man returned home and informed his parents that from now on his name would be Shaltiel. His mother said to him: "Not from today...already from the day of your circumcision, that's what we called you, but later we thought it was too old-fashioned so we changed to Nimrod." Another story tells Rabbi Yosefi: A Jew came to Rabbi Kanievsky and told him about his father who was very sick, and asked him whether to add him a name as a segulah for a complete recovery. Rabbi Kanievsky's answer was: "Call him Antiochus." Another story is told by Rabbi Reuven Reich, the son-in-law of the Lakewood Rosh Yeshiva. Decades ago a young boy who liked to photograph the holy Tzaddikim (Sages) of the generation, came to the home of Rabbi Kanievsky. He went into the rabbi's home and took a rare picture of the rabbi feeding a cat who came looking for food. After the photo was taken by the young man, Rabbi Kanievsky asked him to stop filming, but the young man continued to take more pictures. In response, Rabbi Kanievsky got upset and said, “that’s rude”, "I'm telling you to stop filming!" At this point the boy panicked, he opened the film (for those who remember what a film was ...) and burned all the pictures. Twenty-five years passed since then, the young man had already raised a family and was blessed with a bunch of boys. 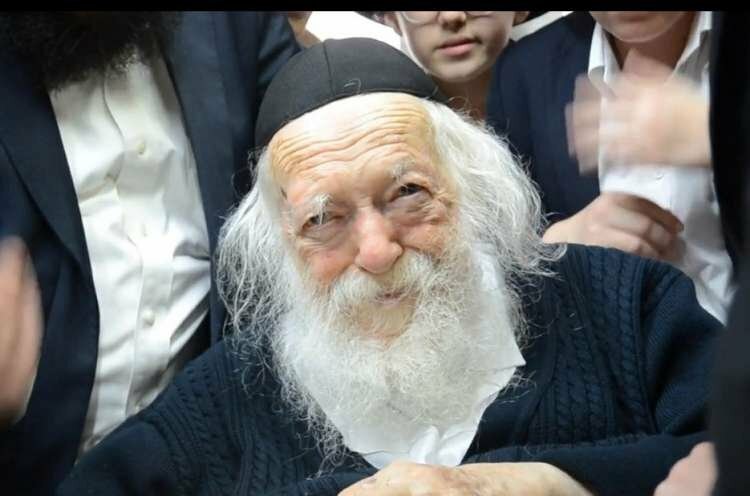 Before the Bar Mitzvah of one of his children he came to Rabbi Kanievsky's house and when he entered the rabbi's room, the rabbi looked at him and immediately said: "I've been searching for you for 25 years. You are the boy who photographed me feeding the cat; I wanted to ask forgiveness for getting angry with you". How special is the fear of sin and the power of perception of such a great Sage, immersed in non-stop Torah learning the vast majority of the day.